From BMJ Opinion: “Many patients will have stories of seemingly small acts of kindness that unfolded in clinical encounters, and the effect these had on them and their relatives. Losing sight of this is easy in increasingly complex, fragmented, and hurried healthcare systems, but it’s vital that healthcare professionals keep it at the heart of how they practise. I’ve spent the past 10 years researching healthcare encounters, which has confirmed what firsthand experience had already taught me about the difference compassionate care makes. 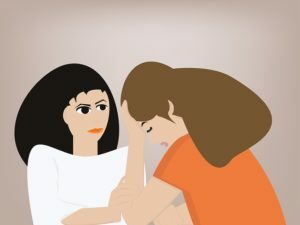 I found out just how much being treated with empathy and understanding helped—not only as those moments played out, but in the time afterwards as I processed what had happened to me. In my research, I continue to witness the struggle that patients, relatives, and often also clinicians have in processing encounters where suffering, loss, but also immense resilience are at play. I’d argue that unhurried, compassionate care helps us all (doctors included) to make sense of these experiences and to deal with them, even long after the clinical encounters have ended.